Philippa talks about an interactive billboard campaign to raise awareness of domestic violence, and asks what readers think of the approach. Travellers at Euston Station in London will find themselves witnessing an abusive man shout at a woman, in the form of a video advertisement. The ad, by the National Centre for Domestic Violence (NCDV) then gives those who see it the ability to use their smartphone to visit a website, from where they can drag the abuser away. 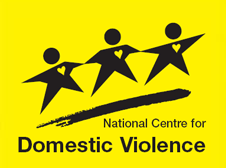 Information then appears about what the NCDV can do to help victims of domestic violence. The interactive billboard campaign is designed to “raise awareness about how people can intervene to help put a stop to domestic violence”. The execution of the ad, separating the abusive man from his female partner, aims to show how the NCDV can help by putting a distance between the two people, for instance by securing an injunction. You can see the advert in the video below – what do you think? Is it too triggering to be in such a public place? Is it empowering to be able to remove the abuser? Is it exclusive, as only smartphone users can actually take action? Is it a great way to raise awareness of the options available? Let us know in the comments. Thanks for tweeting about this very provocative ad. Watching it, I tried to apply it to my own parents and what I witnessed with them, and from that perspective the ad would not have worked at all. Physically picking up the man and moving him away is only half the problem. When the abuser is the breadwinner who has not allowed the partner to work, and when the abuser has done such a psychological head job on the partner that they barely know their own name, where does that leave the partner if the man “moves” two screens away? On their own, with no income, and convinced that they have done something wrong and it’s all their fault. The first thing they will do is apologise to the abuser and beg them to come back. There needs to be some sort of empowerment and education for the abused partner. A magic hand is not going to come out of the sky and pluck the problem away. I agree it’s powerful, really felt sick as the shouting went on, then the relief as the man was dragged away. And yes, hopefully empowering for women experiencing abuse, knowing a) they’re not alone and b) there is something that can be done. But will it be effective in raising awareness more widely? Heather, you make a good point – it is very simplistic, and may be misleading, suggesting that ‘solving’ domestic violence is just a matter of plucking the abuser away and getting an injunction. Like you say, it is always a lot more complicated than that. It just occurred to me, Philippa, that the ad assumes the victim – and those around them – are conscious of the fact that there is a problem. The ad might certainly help someone who is becoming conscious of the fact that something’s just not right in their relationship. But a lot of domestic abuse has family and cultural roots which make victim believe it’s their fault. I like that the advert shows the abuser shouting rather than going for the usual stereotyped images of black eyes and bruises – obviously a lot of women do experience physical abuse as part of domestic violence but for those who don’t it can make it even harder to identify that what they’re experiencing is abuse. I’m not sure that the message that you can ‘help victims’ by ‘dragging the abuser away’ is helpful for all women, considering that many women in abusive relationships are under a lot of pressure from friends and family to leave and are treated as stupid if they don’t, or if they do leave and then go back to him. Very few people understand how emotional abuse really works. That doesn’t mean I think it’s a bad ad – it relates to one particular group of victims/survivors, women who have identified that they’re experiencing abuse and want to leave, feel able to access support services and need support/legal advice to get away from their abuser (eg getting an injunction). It would be good to have ads and campaigns to address the needs and experiences of other women but one charity with limited resources can’t do everything. I’m going to go out on a limb and say that I hate the ad. I can’t (and wouldn’t) speak for anyone else’s experiences, but I find the advert really facile, as though it’s making some kind of game out of the abuse that millions of women (and men) suffer on a daily basis. For me, the interactive nature of the whole “use your Smart Phone to drag the abuser away!” thing isn’t empowering: it’s condescending and smells a little bit like slacktivism. I’d also echo the other commenters who point out that abuse isn’t that simple. From personal experience, it’s hard to recognise, hard to avoid, hard not to get drawn back into. Victims often defend their abuser and resent the intervention of others, perhaps even those people they’ve asked for help, for a variety of reasons. I recognise what’s been attempted with the ad, and I think the motives of ‘raising awareness’ are genuine, but, like many other ‘awareness’ campaigns, I think it misses the mark. Although I appreciate Heather’s comments about the limitations of the advert, I do think it is very powerful – it captures attention and gives a strong, clear message that abuse is unacceptable. I think the webpage that the ad directs us to is also very clear, accessible, offering practical support. I don’t think this ad can really help women/men who are being victims of abuse. The only positive point I can see in this kind of adds is the fact that they portrait certain kinds of behaviour as wrong, and shape public images of who is the victim and who is the abuser in this situations. This didn’t exist in the past when women were always to blame. As some people mentioned above the problem with abuse situations is that it is a very complex process, where the victims most of the times don’t recognize themselves as such. Empowment can only come with that. Not with a saviour from above. Also, despite this time the kind of violence is verbal and not only physical (which is already an advance in the structure of this adds) it doesn’t portrait all the more subtile, and sometimes more dangerous levels of psychological violence that can happen in relatioships. The ones that totally leave people trapped. Something I find quite disturbing with this add is the fact that the smartphone is the weapon used to drag the abuser away. It’s once more this ideia that technology can save us, and that we can simply delete problems of our lives, like deleting an email ou a word document. This is probably what disturbs me more when watching this add. I keep meeting people that think that husbands verbally abusing wives is perfectly acceptable, and indeed, normal, healthy behaviour, (just ‘venting’). So I am ‘for’ the ad, even with it’s drawbacks and simplifications, because it is a statement in society that verbal abuse is…. abuse – it is serious, it does damage, and it should not be tolerated. As Heather touches on and Another Angry Woman talks about in her blog post, I think the biggest problem here is the profound passivity of the victim. I think it is extremely unlikely that anyone is going to identify themselves with that person, doing nothing – it’s hard enough for abuse victims to identify themselves as “victims” at all. It kind of suggests that this is in the hands of other people, whereas in real life, bystanders (colleagues, neighbours, family & friends) have no powers to organise an injunction on someone’s behalf. They have no power to do anything except provide emotional and practical support which might allow someone to escape if they choose to. Oh and call the police in an emergency. Injunctions are up to the people who need that protection. The message is rather confusing. It kind of suggests that outsider have the power to rescue abuse victims as you might rescue a beleaguered princess in a video game. It also tickled me, quite frankly, and I’m not sure that’s appropriate – I wanted more comical things to happen to the abuser, like a big Monty Python style foot to come down on top of him. However, all that being said, I kind of agree with the positive comments too. Being silent, I don’t think it is nearly as likely to trigger as many other campaigns (I don’t mean that purely from a personal point of view – triggers tend to die down following repeated exposure, and scenes a bit like that are so common on television, their power tends to wane. Take away the volume, the tone of voice and the actual words and it’s going to be much less of a problem than in many other campaigns). I think the message that “non-physical abuse can warrant legal action too” is a very important one. And it is out there, raising the issue. I think that’s of value in of itself. But I do agree it’s rather imperfect. I just don’t know – and it’s a very important question – what would be better way of raising awareness about the availability and usefulness of injunctions. It’s a cool enough gimmick. I thought it was effective, if only because it drew my attention to the fact that the victim might not HAVE a smartphone (her partner might not allow her to) and so be doubly disempowered. Fortunate middle class woman with smartphones may drag the abuser away, but what about those who don’t have the latest technology along with their other disadvantages as victims? It is more likely that poorer women will continue in an abusive relationship because they perceive themselves as having fewer other options. Not always; I’ve known highly educated middle class women who have stayed in abusive relationships because they did not see any other option for themselves, but on the whole women with fewer resources are more likely to continue being victims, and to some extent this advert just highlights that fact in a rather sick way. First off; I know that the intent behind the ad is nothing but good. However… A lot of people, when they see abuse occurring right in front of them, will find some way to not see it. And what’s the first thing so many people say about abuse victims? I’m hopefully just being cynical. I find it hypocritical that most comments and the blog post on Lush’s animal testing stunt were in condemnation, whereas this stunt which literally invovles watching a man abuse a woman hasn’t received the same treatment. Yes, this is triggering. It is a scene too many people have actually experienced in their lives. But you’re saying it might be effective because people can empathise with the woman? That you can do something to stop the abuser by ‘dragging him away’? Lush had a woman act as an animal undergoing experiments so we could empathise, and do something to stop the abuse by signing the petition. a) This post and the post about Lush were written by two different bloggers. b) This post does not claim the billboard is a good idea – it puts the question out for others to decide. c) A lot of the comments on this post are not overly positive – they are discussing the potentially negative impact of the billboard. d) “But you’re saying it might be effective because people can empathise with the woman? That you can do something to stop the abuser by ‘dragging him away’?” – Who are you talking to? The OP did not actually say either of these things, she put the question out to others.